Home reno, new baby, big move... oh my! Yes, A LOT has been going on during my time away from the VLD desk. While my blog writing has been on hold, it has definitely not been forgotten! I am excited to begin writing again, and look forward to sharing some great topics with you! As per usual, I always love exploring the world of language - specifically the Italian language on this blog. 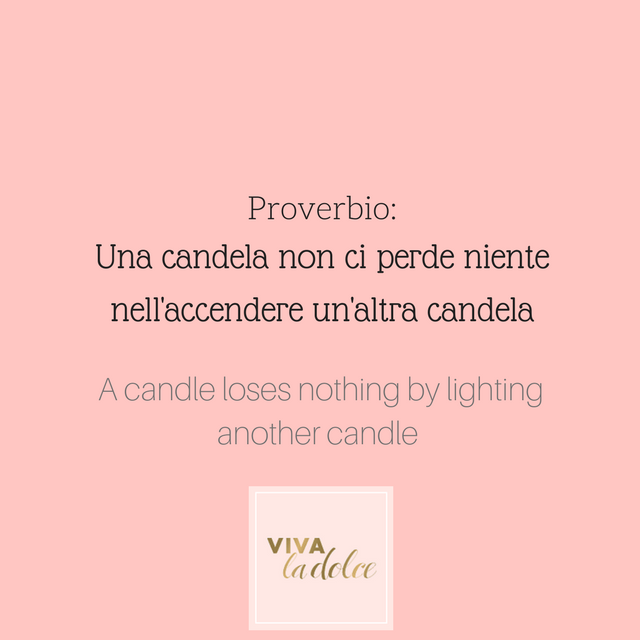 Therefore, as my first post of 2017, I thought I would start off with an Italian proverb. This proverb speaks to the time, as we are living in a moment where more peace, love and understanding is needed now more than ever. This proverb is a great reminder of the importance of lifting one another up and helping those in need. Let us share the light, and help brighten it in others.